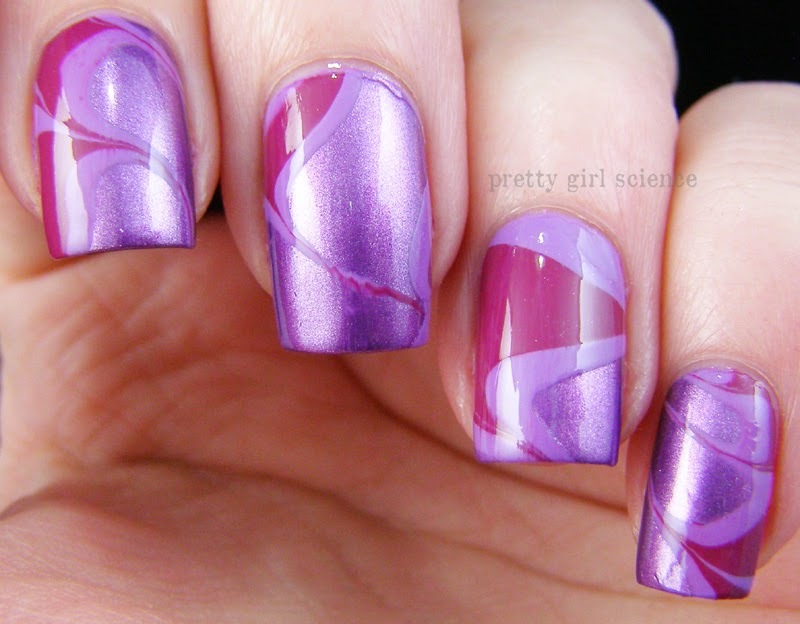 The first polish color that came to mind was Rimmel London Wild Orchid. It is a great match for this color, and it might be going on clearance at a CVS near you. I hope that Rimmel doesn't abandon the color, because I really do love it. And because I'm fresh off the Seven Day DIY Gel-ish challenge, I couldn't just wear one color. 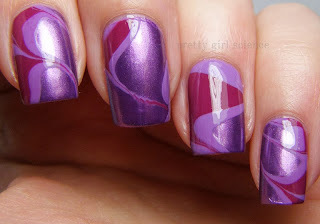 I decided to attempt a water marble...my first in a very long time. It didn't turn out half bad. I don't know what it is about this water marble, but I really love it! Not usually a big fan of them, but this just looks stunning! thanks! I'm not usually a fan of purples, but I really like how this turned out too! so many people hate this color! I actually kinda like it...my youngest is obsessed with purple, so this is definitely her year. This is lovely! I do like both watermarbles and purple - so this is right up my street!